What's next? An EV police car? Probably. The inevitable has finally happened, and we’re not at all surprised to see Ford being the automaker to introduce it: the first-ever hybrid cop car. 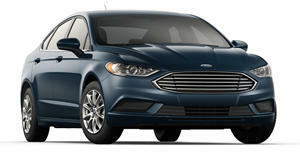 Meet the Ford Police Responder Hybrid Sedan, the industry’s first pursuit-rated hybrid police car. The era of the V8-powered Crown Vic cop car is gone forever. This is a pretty big deal for the police car industry because, according to Ford, it has a 63 percent market share in regards to the most police vehicles in the US. Ford also notes its new cop car offers significant fuel savings both while driving and at idle, and saving money matters big time for police departments. The automaker claims its hybrid technology will help the vehicle to attain an EPA-rated combined gas mileage of 38 miles per gallon, which is more than twice that of the current 3.7-liter V6-powered Interceptor. Based on the Fusion Hybrid, Ford claims the vehicle’s lithium-ion battery helps power the high electrical loads of a police car, which in turns reduces the engine’s run time, resulting in even more fuel savings. All told, police departments could potentially save nearly $3,900 per year in fuel saving costs. However, the Fusion-based vehicle will also have full pursuit capabilities, meaning it’s certified by police departments to be tough enough for all police functions, from high-speed chases to flooded intersections. Power comes from a 2.0-liter four combined with an electric motor that receives its juice from a lithium-ion battery. It can even run in battery-only mode at speeds up to 60 mph, but the engine will switch on automatically if the need suddenly arises. Ford will begin taking orders from police departments this spring and the first deliveries are expected everywhere in the US next summer.